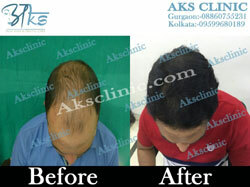 AKS Clinic offers expert hair loss treatment at its state-of-the art clinic in Gurgaon. 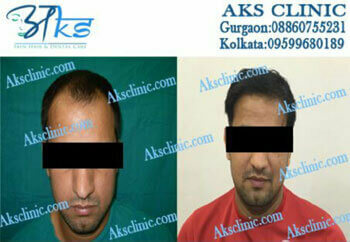 So, if you are looking for hair loss treatment in Gurgaon, give no second thought, head to AKS Clinic. Hair loss treatment can be categorized in the following ways. It is known as platelet rich plasma therapy. 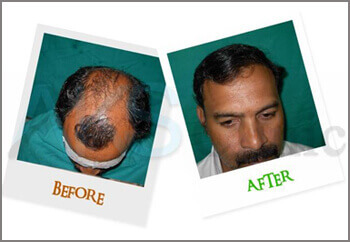 PRP is a non-surgical therapeutic option for patients who require stimulation of hair growth for hair loss conditions. It seeks to harvest natural growth factors found in the blood. PRP therapy has established itself to be effective as a medical treatment in the specialty fields of oral surgery, neurosurgery, plastic and cosmetic surgery, sports medicine and orthopedics. It has been extensively used in many countries and the success outcome is always positive. PRP is immunologically neutral and poses no danger of allergic, hypersensitivity or foreign-body reactions because it is derived from patient’s own blood.. It literally means injecting medicines, enzymes ,vitamins into the skin of the patients. In 1987, the French academy of medicine recognized Mesotherapy as an inherent part of traditional medicine. This treatment is widely used in United States and Europe. It causes immediate stopping of the hair loss by stimulation of natural hair growth. The treatment is virtually painless and safe. No local anaesthesia or dressing is required. It has been very effective in hair rejuvenation. The treatment itself takes between 15 to 30 minutes depending on the extension of the area being treated. This refers to a therapy that utilizes laser or light energy below a specific energy threshold and within a specific wavelength. Light sources used for LLLT may include laser and LED devices. Laser devices used for LLLT are also referred to as cold lasers. LLLT devices produce no heat, are safe and cannot burn or injure the skin. 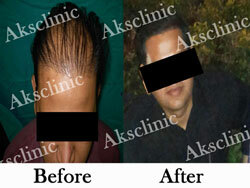 The benefit of this therapy is led light or laser light stimulates the cells within the follicles. Low level laser light therapy is a safe form of light treatment under investigation for a variety of health indications. It is being used to treat the genetic forms of hair loss common in men and women, androgenetic alopecia or pattern balding.